Lee Dockins, of Russellville, is a veteran of World and USA Games events, and has won more World Games medals than any Special Olympics Kentucky athlete. She competed in artistic gymnastics at the 2007 World Summer Games in Shanghai, China, the 2011 Games in Athens and the 2015 Games in Los Angeles. At the 2007 World Games, Dockins won gold medals in the floor exercise and vault as well as a silver in the uneven bars on her way to a fourth place finish in the all-around. She followed that up in 2011 with a five-medal performance that included gold in the all-around, beam and floor exercises, another silver in the uneven bars and a bronze in vault. She defended her all-around title in 2015 with another gold medal, as well as winning gold again in the beam and floor exercise. She also scored a bronze medal in uneven bars. Dockins is coming off a stellar performance in artistic gymnastics at the 2018 Special Olympics USA Games, held this past July in Seattle, Washington. There, Dockins earned five medals, with one of her three golds being the all-around title. It was her first USA Games all-around gold in three tries. Dockins was part of an ESPN feature during those Games that looked at the Kentucky “Fab Five” – the five gymnasts Kentucky sent to Seattle. 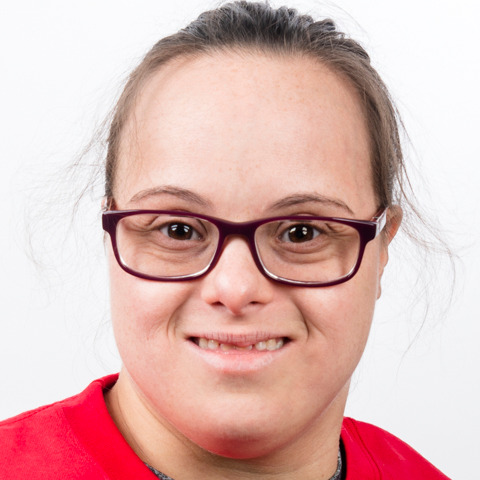 Dockins is one of four Special Olympics athletes currently featured in an exhibit at the Smithsonian’s Museum of American History that commemorates the 50th Anniversary of Special Olympics. The exhibit includes the leotard and hand grips Dockins wore at the 2007 World Games.